1.Stable and optimal cutting effect by servo-feed in saw frame. 2.Human operation by LCD panel and friendly program. 3.Select tungsten carbide sawblade, the cutting efficiency can reach HSS sawblade 4 times! 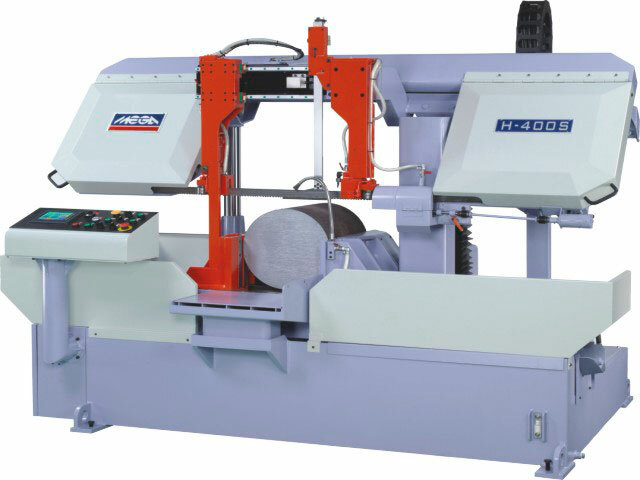 4.Servo motor feed-cutting enable the life-span of bandsaw blade for a long time. 2. Variable vise pressure system.